GRANDE PRAIRIE GREAT SWEATER RUN! Sign Up - CANCELLED DUE TO LOW REGISTRATIONS. *Please follow all course signage, arrows and pylons! From the start area at Muskoseepi Park, athletes will head (south along the trail system to the turnaround point. Returning the same way, you will continue along the trail towards the GP Tourism office. The trail will take you under Hwy 43/108st to do a loop of Maskwotek Park-North Bear Creek and then back. Once back on the main trail you will loop around the west side of the Resevoir and college and return towards the Pavilion. Before crossing the finishline you will do a quick loop of the Pavilion area. The Tacky10k athletes will complete 2 laps of the Festive5k course. The 2km event will take dog and owner through the trail system. Athletes will head north along the trail and turnaround just past the 1k mark. Athletes will return the same way but travel over the Resevoir Dam and then follow the remainder of the 5k route to the finish! Please remember that all City of Grande Prairie Pet Bylaws apply. Race day pickup will occur onsite (Muskoseepi Park) from 1:00pm-1:45pm. The event starts and finishes at Ernie Radbourne Pavilion (102 ave & 102st) in Muskoseepi Park. Ample parking is available next to the Pavilion. Please arrive early as parking is 'first come-first serve'. Registration will take place at the race site in the Pavilion. A baggage tent will be available next to the registration tent. Volunteers will place labels with your race # on them. To retrieve your bag after the event, please ensure you have your bib #. 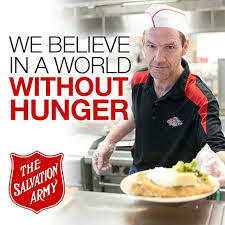 $2.00 per bag or food donations – funds donated to our charity! Heated washrooms are available in the pavilion. Just past the finish, you will find holiday treats, hot chocolate & more! Start – Please seed yourself according to your own pace. Fast runners to the front of each race start. Please heed the ‘rules of the road’ (eg. Stay to the right) unless otherwise stated. IPods/MP3 players are allowed – BUT you have to be able to hear our volunteers, keep that volume down! Course - Please follow the instructions of all course marshals. These volunteers are out there to help protect you! The course is open to pedestrian and vehicle traffic (at certain locations). The Grande Prairie Great Sweater Run is proud to partner with the Salvation Army of Grande Prairie.